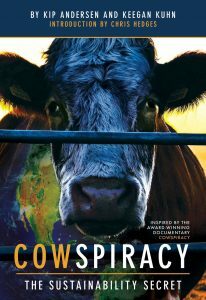 Cowspiracy purports to be a documentary film released in 2014, created by directors Kip Anderson and Keegan Kuhn and later backed by actor Leonardo Di Caprio. While Cowspiracy is often put forward as an accurate representation of the world (usually by those who want to see an end to animal agriculture), many people involved on the ground in regenerative agriculture have argued that many of its claims simply don’t stand up to the science. Sheldon Frith’s collection of rebuttals to Cowspiracy and other anti-animal agriculture propaganda. Now, in a shocking U-turn, the film’s makers have been forced to retract one of its most fundamental and damning claims: that animal agriculture is responsible for an incredible 51% of greenhouse gas emissions (a figure that has always been criticized as wildly inaccurate by scientists, including the Union of Concerned Scientists). 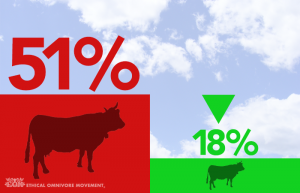 In a tweet from the @Cowspiracy account earlier this year, Andersen and Kuhn have now quietly revised the 51% claim down to 18%, which, while closer to the truth, is still probably much higher than the real figure. Clearly, this is not a full and honest retraction. They’re not putting their hands up and saying, “Guys, we were wrong and we’re sorry for misleading you.” However, it does clearly tell us that the filmmakers now acknowledge the real impact of animal ag on the climate is at least 60% lower than the film claims. Based on data from 2000, the World Resources Institute estimated the greenhouse gas contribution of all agriculture at just 13.5%, of which “livestock and manure” contribute only 5.1% (based on CO2 equivalent calculations). 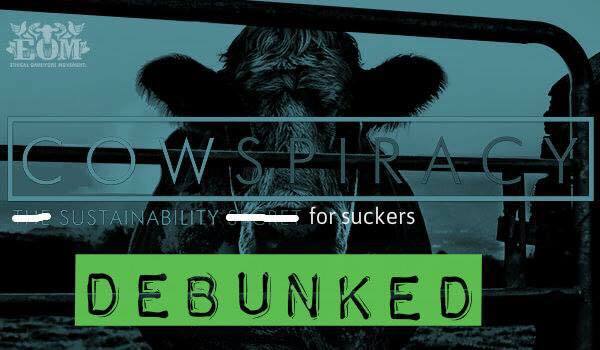 That’s ONE TENTH of Cowspiracy’s original claim! For more information, see Frank Mitloehner’s post on his GHG Guru blog. As Professor and Air Quality Specialist in Cooperative Extension in the Department of Animal Science at the University of California-Davis, Frank knows more about the real links between agriculture and climate than almost anyone on the planet. Incidentally, the 18 percent figure is still not accurate, having come from the FAO study “Livestock’s Long Shadow,” which has since been revised by its authors to 14.5 percent (FAO “Tackling Climate Through Livestock,”), but at least it is far less misleading than 51 percent. Perhaps reluctant to dial back the statistic, they seemingly couldn’t resist stating that even at 18 percent, it is more than “the combined exhaust of all transportation,” using a life cycle (direct and indirect) assessment for animals and a mere tailpipe emission (direct only) for transportation, an assertion Mottet and Steinfeld debunked in their article noted above. 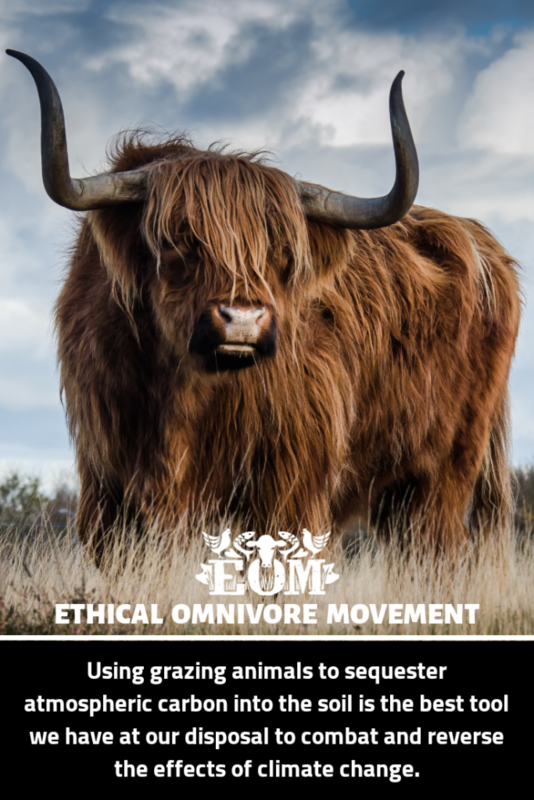 It is now clearer than ever that the makers of the film set out not to report the scientific facts, but to make the case for a future vision of the world that excludes farming animals. Even assuming that they acted with the best intentions in the way they believed was correct, deliberately skewing the data in this way destroys the credibility of the so-called documentary. What’s more, because propaganda like Cowspiracy sets out to discredit all uses of animals in agriculture, it risks tarring regenerative agriculture with the same brush as intensive factory farming. There is now an overwhelming amount of evidence from all over the world that herds of animals grazing on land is not just sustainable, but can build soil, enrich ecosystems, support biodiversity, and sequester massive amounts of atmospheric carbon into the soil, which in fact is probably the best tool we have for rapidly reversing climate change. yet, there is NO NEED to kill animals to feed humans!!! Hi Francesca. You’re right, almost all of us can live healthy lives without eating meat, provided we get the full range of nutrients we need from plants, eggs, and dairy. It is clearly unhealthy for most people (if not all) to abstain from animal products entirely long-term. However, meat and offal are still the healthiest and most nutritious food you can get. You’re also implying that killing animals is wrong per se, and we disagree on that point. It is not wrong for a hawk to kill a rabbit, or for a dolphin to kill a mackerel. It is not wrong that those other animals die, completing their part in the circle of life and death. It is no more wrong for a pig or chicken to die. Meat (including offal) provides the most complete and nutrient-dense food for humans. Some people believe you can be healthy without consuming any animal products, but the long-term health prospects do not seem good, at least for the majority. Even with the updated greenhouse gas emission facts, how do you defend animal agriculture being the leading cause of amazon destruction and deforestation. Cowspiracy made amazing points about how we’re enabling the destruction of biodiversity just to graze animals. Animals that we raise just to kill are overbred and thus require massive amounts of land, water, and resources to sustain. The amount of space it takes to grow the same amount of protein from plants is VASTLY less then the space it takes to raise the same amount of protein in meat. Yes you’re cutting down trees no matter what, but less meat = less grazing fields and resources = less deforestation. You talked about CO2 equivalent calculations but let’s not forget that greenhouse gasses are not just CO2. It’s methane, it’s nirtous oxide and it’s other gases as well. Hi Alexis, thanks for getting in touch. First, it’s important to say that we do not support or defend deforestation, whether for grazing, for animal feed, or for crops like palm oil. From a US perspective, the link between deforestation and beef is tenuous. The primary crop grown on cleared Amazonian rainforest is soy, and yes, people do feed soy to cattle, but only 0.3% of soybeans grown in Brazil are exported to the US. The biggest export market is actually China. Also, the US is the world’s largest beef producer and a net exporter of beef, so it’s impossible to say that the US beef market contributes in any meaningful way to Amazonian deforestation. The biodiversity argument is very weak. Actually, well-managed grazing land supports far more biodiversity than any industrial crop monoculture. Growing a monoculture annual crop requires destroying the local environment at least once per year through tilling/ploughing, essentially continually hammering the “ecosystem reset” button. Regarding food animals requiring massive amounts of water and other resources, I don’t think that’s true if they’re pastured in an appropriate climate. The vast majority of the water they use should come from rain, and they should really need no food to be imported (perhaps hay / silage cut and stored for winter, maybe topped up with a little grain). Plus, because they’re getting a more diverse diet and healthier life, they should need no routine antibiotics, B-12 supplements, etc. Furthermore, as well-managed grazing actually builds topsoil, water management is actually improved. Globally, our soils are the largest store of both carbon and of water, so the more soil we can build, the better. More soil means more water stored on land, cooling the landmass which helps attract precipitation. Covered topsoil also helps prevent runoff of water and organic matter (one of the biggest threats to our entire environment right now, never mind human life). Regarding greenhouse gases, just think that the planet used to support far higher numbers of large grazers than it does today, and it didn’t choke on methane or CO2, so from a layman’s perspective, how can modern cattle be a net GHG emitter? Yes, methane is a more potent GHG than CO2, but healthy rangelands actually help to absorb methane from the atmosphere and diverse diets in cattle lead to lower emissions too. We may never get a definitive measure of cattle’s GHG contribution, but to me it seems they cannot logically be a net emitter.